With me are Alcyone, St Germain, Lady Master Nada and KOS, Captain Ashtar and Admiral Sananda, Rama, Tom the RingTail Cat and some of our other Paschat Friends. The are the ones you have met before, and the other Members of our Council you will become more familiar with. We welcome you all. Thank you for joining us here on Nibiru. We come to you tonight to bring a message about family reunions. Many of you have been to Nibiru or originated from Nibiru. There is much about your own ancient history you do not yet remember. NASA has come out with a lengthy discourse denying the existence of Nibiru. I assure you, Nibiru exists and it is very real [Check out pictures of Niburu from NASA! www.welcomethelight.com/2009/08/mother-sekhmets-niburu-caught-on-film Tony]. We are here because Earth is ascending. 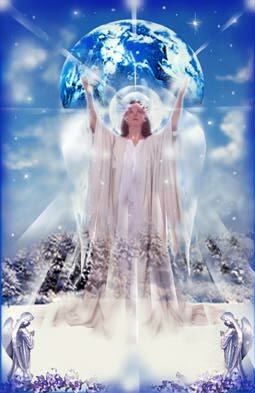 We are here to assist all the inhabitants on Earth in their ascension. There are millions of Galactics now living on Nibiru. Our MotherShip is in your Earth’s orbit. 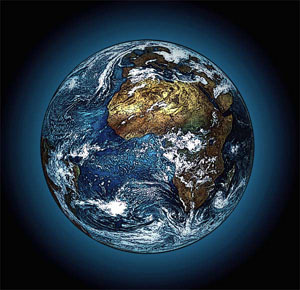 We each have a job to carry out which assists in bringing Earth to this change point. 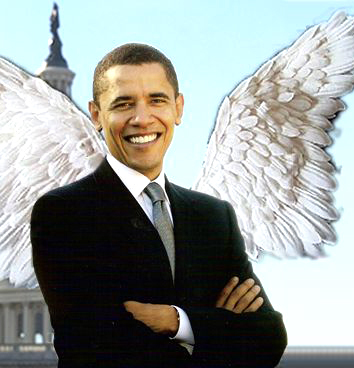 We work with the Sirian Commander, U.S. President Barack Obama. He has prepared many lifetimes for the role he now plays. He has special abilities and will carry Earth into a new era of One Race. We help coordinate the Master Plan for Worldwide Peace. I have lived before on Earth, for thousands of years, during the Golden Age in Egypt. I am known as Mother Sekhmet, the Lion Goddess [see Robert Masters book"The Goddess Sekhmet"]. I am joined here with the Galactics, your family. We are the lion people, the bird people, and the reptile people. We are all humanoids, we are hybrids. We are joined by the Kumaras of Shamballa, the peoples from Inner Earth, in the Argatha Network, and the Council of 4 and 20. We are also joined by Councils from Planets in your Solar System and beyond your Solar System. All of us are meeting together and we will be meeting with you on Earth. We have been working with the people of Earth on Ascension. As Earth vibration raises up to the Higher Dimensions, there are some who have chosen to leave the Planet rather than make the changes needed to ascend with everyone else. These Ones have volunteered to wear the Dark Hats and teach about duality. They got so into their role-playing,that they were unable to turn the Dark Hat to a White Hat. Their time is up. We love them, because they lovingly played these roles so each one of us could experience life’s lessons. The Ones who are leaving now have volunteered to be returned to the Source. That is my role, to help them go. For too long the Dark Hats have controlled, lied, and manipulated their fellow humanity on Earth. They have kept your true origin from you. They have manipulated you into forced slavery for their own benefit. They have kept you in a place where you are unable to see you are all Creator Gods. The only way to bring World Peace on Earth is to bring all the Councils, working together, to make it happen. Many of you here now are lightworkers and starseeds who incarnated at this time for the sole purpose of turning Earth back to a Planet of Love where all races live together in harmony. Mother Earth [Gaia], with her Twin Flame, Vywamus, has requested an end to her destruction and nothing can stop these changes from coming to pass. We have Galactic Technologies on our Ships which support this effort along with millions of Galactics here to play roles in bringing about Earth Ascension. We have transportation, communication, intel, computer systems, imaging abilities, and healing capabilities which far surpass anything you have ever been aware of in recent memory. We have used all of these things to help bring about necessary changes. Our Galactic members have their own Secret Forces which have members placed in all levels of law enforcement. We have Galactic members with special abilities, such as shape shifting and telepathic communications, working in the Secret Service Guarding the President of the United States so he may carry out his Mission. This President is entrusted with communicating with all the World Leaders in every country, to let them know that they must cooperate with the Master Plan, or they will be leaving the Planet. Gaia/Vywamus can no longer tolerate pollution, war, strip mining, misuse of water, slavery, violence, and lawlessness to be the norm. The Master Plan is one where there is an end to all wars everywhere on the Planet. Neighboring countries will be required to live together in harmony. Only then can Mother Earth be safe from destruction through nuclear holocaust. The Master Plan has provisions for No Nukes. The end of Nuclear proliferation is at hand, it will no longer be tolerated. All countries must work together to accomplish this. Any country with leaders entertaining the idea of building and storing nuclear weapons, will see arrests and removals. We will be certain that the new leaders put into place, are working together with all countries to end nuclear weapons. As a matter of fact, no weapon which is being used for the intention of harm will work. There have been rumors that President Obama will take away American’s right to ‘bear arms’. That is a misunderstanding. Hunters all over the U.S. have been hoarding guns and ammunition since President Obama was elected. When the time is right, these arms will no longer discharge. They will be holding onto a pile of junk which no longer has a use. There will be Peace. The animal kingdom will be honored with all of Earth’s citizens and there will be an end to hunting. It is not President Obama who will take away the right to have a gun. It is the Galactics who will insist on World Peace, by Gaia’s request, that will make the weapons inoperable. President Obama, along with me and you and all of us are also Galactics. 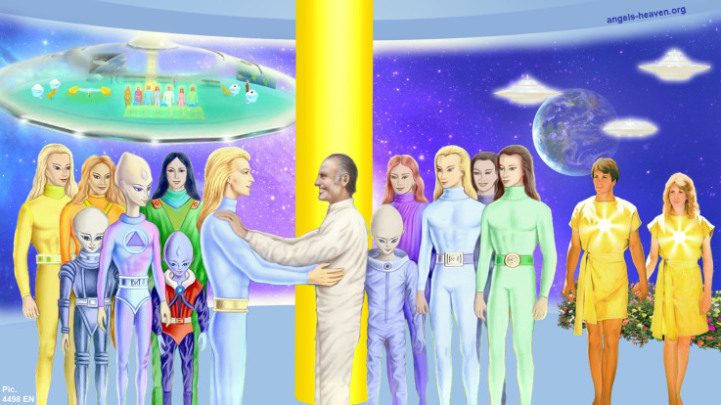 It is through the coordinated efforts of the Galactic Federation, those in the skies over Earth, and you, the Ground Crew, working in your roles, who are bringing Peace to the Earth. We also have Galactics working in the courts. We have the International Criminal Court of Justice at the Hague. We have Universal Jurisdiction. We have 16 million men working with the King of Swords (KOS). All the Dark Hats, working with the 13 Families of the Illuminati, will be rounded up, arrested, and tried for war crimes, including genocide. These atrocities will no longer be allowed on Earth. The Master Plan includes dissolving the Federal Reserve Bank and the The Internal Revenue Service. There will be payments made to every man, woman and child for monies taken from them illegally. This will be for every person on Earth. The division between the haves and the have nots will be permanently eliminated. Everyone will have all they need, once the payments are received. There will be new currencies, and new partnerships in the countries around the world. In order for the Master Plan to be fully carried out, we must have disclosure of the Galactic Presence on Earth. This means everyone will learn about the millions of Galactics here now, who are working through the Office of the Christ, to bring harmony to Earth. We are working in concert with you to solve the World’s problems. 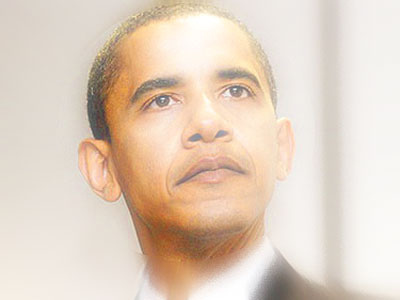 President Obama has been criticized for tackling too many issues at once. What cannot be seen is that he has millions of Galactic helpers working on these issues with him. It will be accomplished. It is happening now. Once everyone is aware that the removals have taken place, there will be no reason to hold up disclosure. 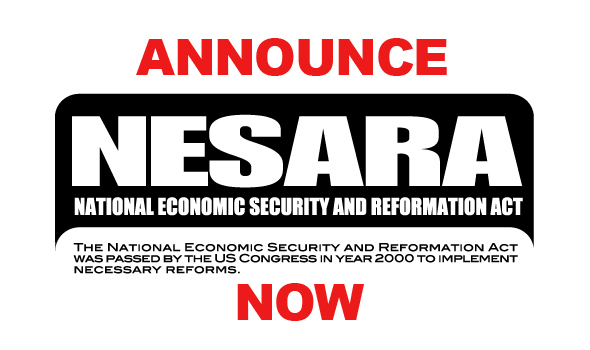 There will be no reason to hold up the payments made available through the Reformation Act, NESARA Law. When this happens StarShips of all sizes and all types will be seen flying in the skies over all Earth. This is called mass decloakings. Everyone will know we are here. It will be a great reunion with all of you, a part of our larger family of star nations. Within days we will be landing on Earth and interacting with you. You will have mentors to help you work into your new lives. You will have loved ones coming back to live with you. You will have technologies that will make life easy. You will have all necessary abundance. Free energy and new building practices will end pollution on the Planet. All of these things we have been talking about for many, many years. There are some new to these ideas, so we went into a detailed review for the ones reading this news for the first time. NASA will have to remove the denials from their website and this will be done at the time of decloakings. What we have not been talking about is, at the time of decloakings, there will be an half-step increase in intelligence and heart opening for all inhabitants on Earth. This serves the purpose of dropping the veils which stand between you and the other dimensions and parallels. With these veils dropped, you will remember you are a Creator God. You will be ready to explore Co-Creation with immediate results. We would like you to consider what this means. Instant Creation. Some of you are doing this now, in fact you are very good at it. You repeatedly create that which you do not want in your lives, due to repetitive thought that you do not want it in your life. We have healing techniques that can help you balance all of your subtle bodies, the mental, physical, the emotional and spiritual bodies. In doing this, you change your point of view. You will be able to rise above the chaos on Earth and come into joy and love. When the declaokings come it will be easier to be fully in joy and experience more love. You may begin today removing old programs and shifting your thoughts to those of abundance. Continue to imagine the changes you will have in your life when the changes come about. Many are asking questions, What about this and What about that? We hear all the questions you toss around in your minds. The world will so greatly change, when you have the Galactic Technology; in a short time you will not believe the improvements. The greatest thing the Nibiru Council would like you to know, is we love you beyond measure. We are your family. We are human-hybrids from other Star Nations. We are here to assist you to a life of freedom and restore your status and your understanding that you are an unlimited Divine Being. We wish to show you new ways to live lives of ease and enjoy all the fruits life has to offer. Your primary thoughts will shift away from the repetition of survival and you will be able to create in new ways. You will be able to live in harmony with yourself and with nature. You may live in a world where everyone is encouraged to work together for the greatest good of all. You will be living in immortal bodies which do not need to experience disease. The possibilities of what we can create together, with our technologies is endless. 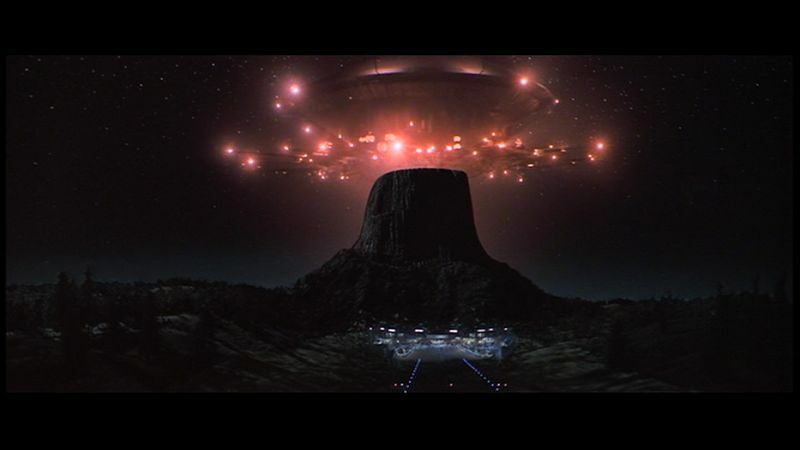 There is no place you will not be able to visit, including Nibiru, and other StarShips, Stars, Suns, and Planets, as well as all points on Earth. Experiencing the cultures of all the different species of hybrid humans will be a great adventure. Remembering that you are one of us will cause your souls to expand. Very quickly we will be as equal partners, working together creating a new Earth. When we have decloakings and landings, it will be a deeply personal experience. Each person will meet someone they remember and they know. Some will be meeting again in the physical with their Twin Flames, their true love, who they have waited for a very long time. These friends and family, the trillions working with you from the trillions of Ships now in Earth’s atmosphere, will go to meet with the ones they know, in the places where they are on Earth. None of us are strangers to you. When you see us, you may ask us all of the questions you are now unsure of. Each Soul is on another part of their spiritual path and each has a different perception. We will be here to fill you in on the things you do not already know. There will be no fear. We are here as loving members of your family to help you wake up to the truth. As soon as we land, you will be made aware of all the gifts we will share with you. You will have new modes of transportation, new technologies for healing, replicators to build or bring to you anything you need, including all of the basics. These will be available as soon as immediately. No one will be left out. Everyone will have what they need. You will very quickly remember your role with us. Many of you already work with us nightly. You will take up your passion and join us in the effort to restore Earth and balance all that is needed for humanity. We will make our computers, holodecks, and training facilities open for your use. You may drop the illusion that you were meant to do menial labor until you are too old and worn out to care. You may drop the illusion that you have no control over your life. The only requirement will be living life from a heart-centered focus, with love. Love for all on Earth, including Self-Love. It begins here.We welcome you to call on us for assistance at any time along the way. Call me, Mother Sekhmet. 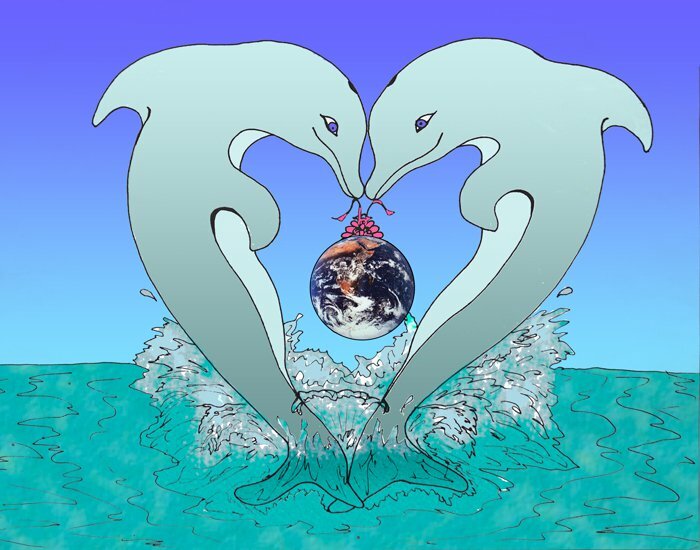 I will show you in subtle ways the steps to take, as we move forward in changing this Planet back to Love. We look forward to reviewing all the stories from days gone by. We look forward to laughing at ourselves for the roles we played. We look forward to the delightful times ahead as One. We will join you and live with you and build Terra Nova together. Bring these ideas into your heart, with joy, as we co-create this as reality, now. As above so within, with the deepest Gratitude, Highest, and Purest intent for the GRANDEST AND HIGHEST GOOD OF ALL. Thank you for this Grand opportunity to create Heaven on Earth, to fully awaken AS Human Angels into FULL CONSCIOUSNESS..Thank you for the outpouring of Unconditional Love, Joy, Happiness, Miracles, and Grandness. WE all watch in amazement and deep GRATEFULLNESS as the Divine Plan unfolds before our eyes. Thank you for the return to Completeness, Wholeness, Balance, and Pureness, perfectly aligned in this Beautiful Master Plan as the next level of Creation begins in the unknown….Thank you as we meld with The Universe back into the ONE, and for the belly laughter as we each take off our masks, remembering we were playing a game of illusion…Thank you for setting in front of US Real Reality, A True Reality of Creation, HEAVEN ON EARTH… where we all are living in True, Peace, Harmony, fully supported in our I AM Presence…. On this day Love, we release everything that no longer serves Us for the Greater Good of the ALL… Thank you for blessing US and the release of all that is not of Pure Love…. Thank you for your constant and Loving support as “We” shine our lights, Live our TRUTHS, with courage and confidence. Thank you for all the help and guidance we have been receiving, as we step out of illusion, and Home into True Reality Connecting US to Our Real and True Selves. Thank you for the Smooth and Effortless Transition into The New Earth, and for guiding US with Grace and Gratitude. Thank you for the RETURN OF PURE LOVE… Pure Essence, and for the Abundance of Unconditional Love, Peace, Harmony, Joy, flowing through US NOW…. this is Just the Beginning of a New beautiful Journey together as One, within Creation. Thank you for the amazing and wonderful messages, processes and events..leading to our destination HOME. NOW we can see each other in our Highest Lights and Highest Truths as we cross the bridge, Home into the Light. Thank you for this Moment of Now for we really are LETTING GO AND LETTING LOVE Be In Charge. We Are Becoming The True Reality of Who We Really Are.. as Human Angels. ALL of US NOW, Are each taking our unique roles as instruments of Love and Fulfilling our contracts and purpose in Service to Love Everywhere Present… Thank you as we release today any and all which does not serve US and the ALL for the Highest good at all times…..so as we Become The Human Angels we are Destined to Be. 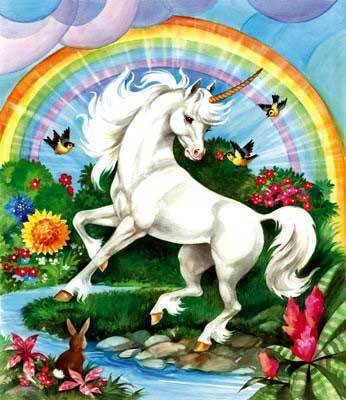 Let US bathe in The Great Love that WE Are, let us play like children underneath the waterfalls and Rainbows and Trees. 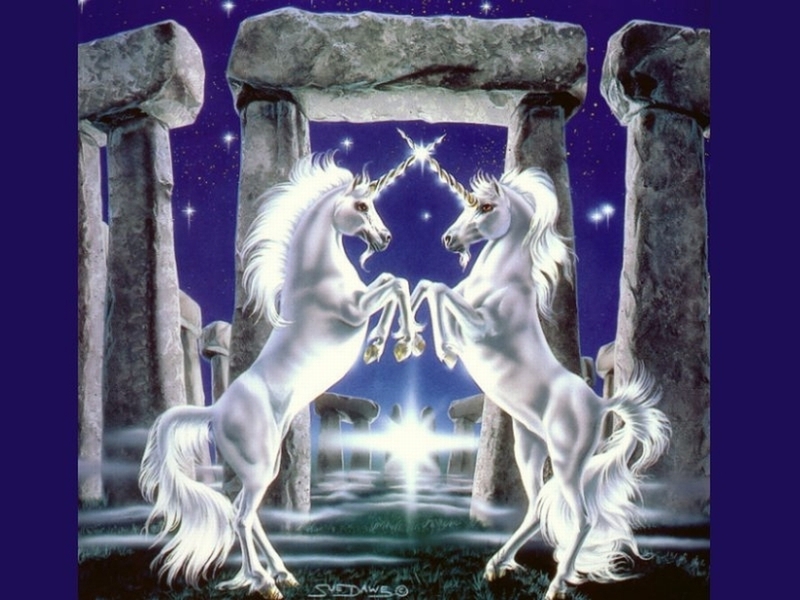 Let Us dance with the unicorns and Give and receive Love Freely… Let US sing with the animals and all of Creation.. Let US swim in the oceans with the dolphins… Let our laughter carry US in sweetness and Unity as we Are the examples of Joy, Love and Peace. Let US Play in the soft grass with freedom of expression and Pure Ecstasy in our Love For Each Other, The Love For the ALL.. [Pause] [inhaling 3 breaths into the heart center] Thank you for this New Earth where we can be WHO WE TRULY ARE AS Gods/Goddesses for this is our vision becoming a True Reality. We are NOW prepared to BECOME THE GREATEST, GRANDEST VISION~VERSION WE CAN BE…To experience again in A New Way, The True Way of The Love Called God Everywhere Present…. And so it is as Above, as it is Within, and Forever Eternally. The Present Moment of NOW, IS The Eternal Forever Moment of NOW, and Always From This Moment on, and So It IS Done. Evolution~ A Process in which Creation changes, becoming Significantly Different and Much Grander than before. To develop by an Evolutionary Process, from a primitive [the mind] to a Multi-Dimensional Galactic Human, (A Divine Human Angel with Wings! A Divinely Intelligent Brilliant Being!). To be Developed, Revealed, or Unfold. Come Forth Emerge. To undergo Change and Transformation, to roll out, unfold. Example- Humanity is Evolving from out of illusion, and this Is According to the Divine Plan. Each Moment you are Becoming Grander and Grander Beings, Galactic, Divine Beings. Your Evolution proceeds depending on How much Energy you can Bring into Yourself. Currently within every Human Being on Planet Earth=Heart,this Divine Plan is unfolding, which is an unstoppable Process of Creation. This is Evolution Occurring on this Planet and not a revolution. 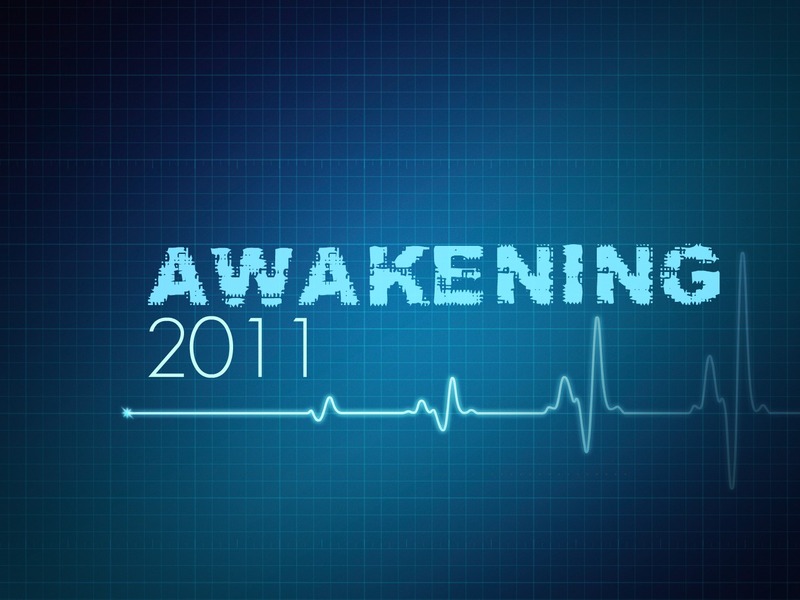 Evolution is a Process that is always becoming Grander and Grander and is currently “Rolling out” for a Transformation. This is Creation, The Ethics Train, The One River/Flow of Life, that is Expanding at Faster and Faster Rates. It is an Energy of Pure Consciousness, irreversible. This Energy is Permeating through Everything in Existence, including all of You and all the Atoms, until it's a “Fireworks” Display. Are You Ready? The Energy is Going to where it's going, and it cannot be stopped. WE Highly recommend Just Riding the Cosmic Wave, It's A JOY RIDE. Here at Galactic Central, the Galactic Portal is Definitely Opening, as WE Prepare for the Ship's Arrival. This Opening cannot be Closed. Visions- Prepare for Planetary Liberation, Mother Earth is Free and So are ALL of Her Inhabitants.